Happy Seafood Sustainability month! April is the annual Seafood Sustainability month; and if you want tasty and scrumptious seafood, sustainability and how you catch certain species of fish or aquatic wildlife matters! Did you know that approximately three billion people in the world rely on both wild-caught and farmed seafood as their primary source of protein? And, according to a 2013 survey of 3,000 U.S. residents, conducted on behalf of NPR by Truven Health Analytics, most Americans who regularly eat fish say it is imperative or very important that the seafood they purchase is caught using a sustainable methodology. 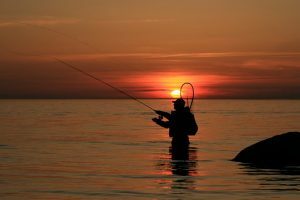 If you are not certain what actions to take to be sustainable, you are not alone; the same study found that most consumers don’t have much confidence in “sustainably caught” fish labels. Ultimately, sustainable fishing allows people to continually fish in oceans and other bodies of water indefinitely for credibly sourced seafood — read on to see three more reasons why sustainability is crucial for seafood success. It is crucial to choose fish that are caught using sustainable methods, like hook-and-line fishing, seek out other traditional methods, and avoid buying fish caught by destructive techniques. For instance, around an estimated 7 million tons of accidental catch happens each year; this is known as “bycatch”. When commercial fishermen are out fishing for a different species, bycatch is defined as the accidental catching of unwanted or non-targeted fish. For example, fishermen hunting for flounder, often catch young halibut on accident. Unfortunately, this hinders the halibut population; because the juvenile fish do not have the chance to procreate and help the continuation of the species. Bycatch is not just limited to freshwater fish; bycatch can also impact other fish populations including sea turtles, sharks, and small species of whales. With awareness, passion, and commitment, customers can help to shape the future of the commercial fishing industry. Over-marketed seafood, such as Salmon and Tuna usually contain contaminants, mercury, and other impurities. On the other hand, many sustainable fish are a great source of complete proteins, vitamins, minerals and heart-healthy omega-3s, while containing very low amounts of contaminants. Naturally, protein-packed smaller fish, which are sustainably sourced, have half the calories of Salmon and are usually purer with negligible levels of contaminants and mercury. In contrast, larger fish that are at the top of the food chain tend to have higher levels of harmful chemicals and are not as sustainably sourced. Let’s say you’re from the coast of North Carolina; and its oyster season. Which would you rather buy: oysters from your local, family run farmers market or oysters from a big, commercialized supermarket? For many North Carolinians, the answer is easy. Most people feel better about eating oysters when you know exactly where they were sourced. You’ve heard of “farm to fork”, but it’s now becoming a trend to eat “boat to fork”. Not only does buying locally sourced seafood boasts a variety of fish for sale; but it also supports your local economy. Purchasing seafood locally builds your local economy instead of handing over the earnings to a corporation in another city or state. The sea sustains all life here on Earth and is vitally important to our own lives. Although the oceans cover more than two-thirds of our planet, the oceans are not always resistant, and our pursuit for more sources of seafood has brought about devastating consequences. Our seafood choices offer a daily opportunity for each consumer to contribute to seafood sustainability. Visit the NC Seafood Restaurant at the NC Farmers Market in Raleigh, NC. We exist to create the Triangle’s best calabash-styled seafood. 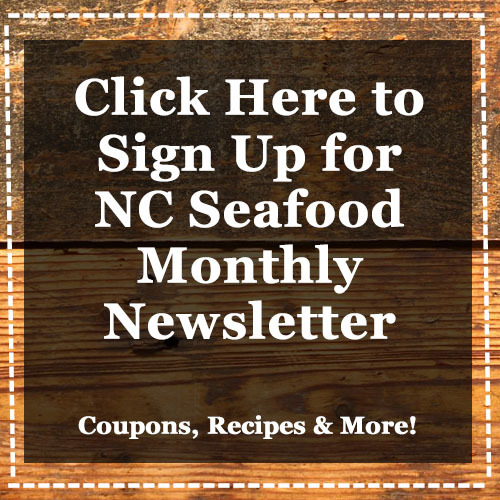 Click here to view our online menu, we want to show you what’s cooking at your neighborhood NC Seafood Restaurant!